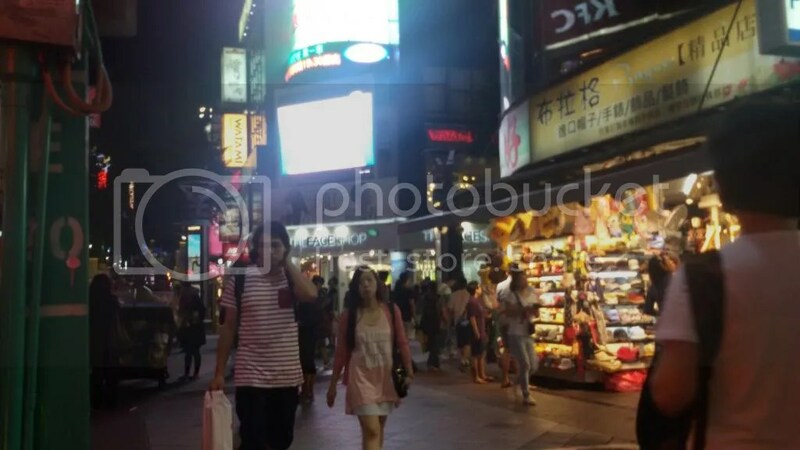 It wasn’t really our plan to go visit Ximending as we thought it was probably just like the Shilin Night Market. Stepping out of the train, we realized how different it totally was. 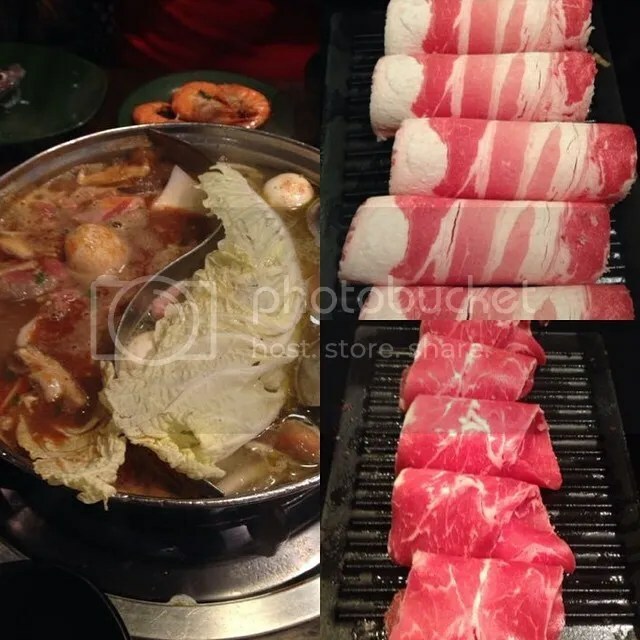 The first order was business was to look for the infamous hotpot buffet, Tian Wai Tian Hotpot. Finding it was quite a struggle but we were determined to visit it given its great reviews and good value for money. 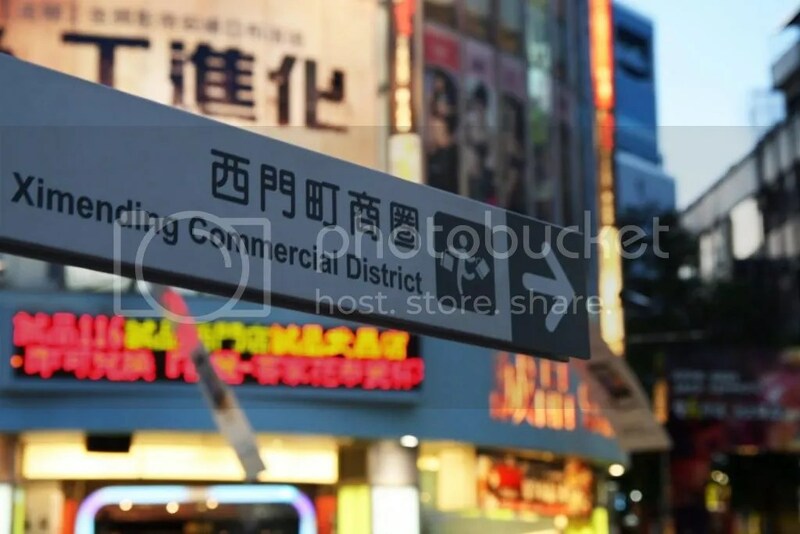 The time spent walking gave us an opportunity to have an impromptu tour of the area, passing through lively streets and interesting stores. 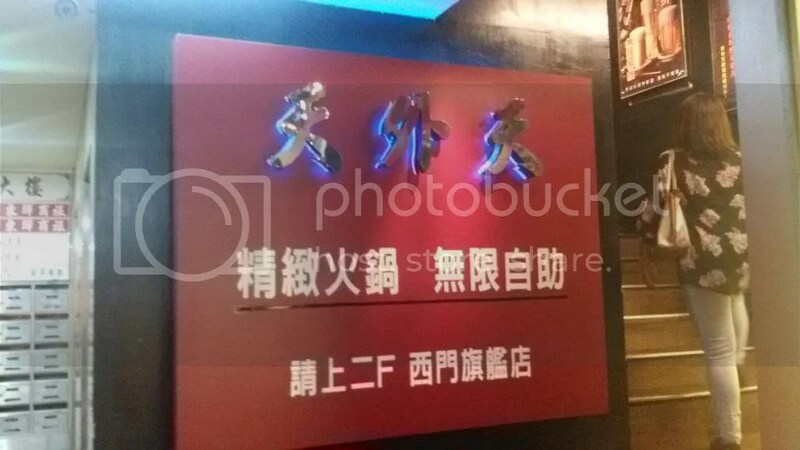 With only a picture of its Chinese signage and the address, we found the elusive restaurant after half an hour of wandering around. It was no surprise that the moment we were seated, we attacked. 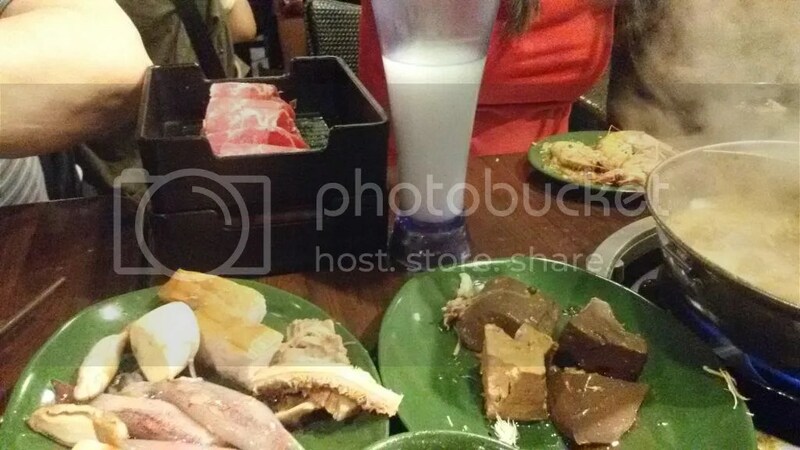 With our protein finds from the buffet and some Australian Angus beef, we dunked them in our two chamber pot of Lemon Grass and Spicy Broth. Given the amount of food we had to consume, we were pretty efficient. M took care of creating our sauces while I got us some drinks. In between, we took turns in cooking our food. It was a messy but amazing experience. Dinner was so good that I barely have any photos. 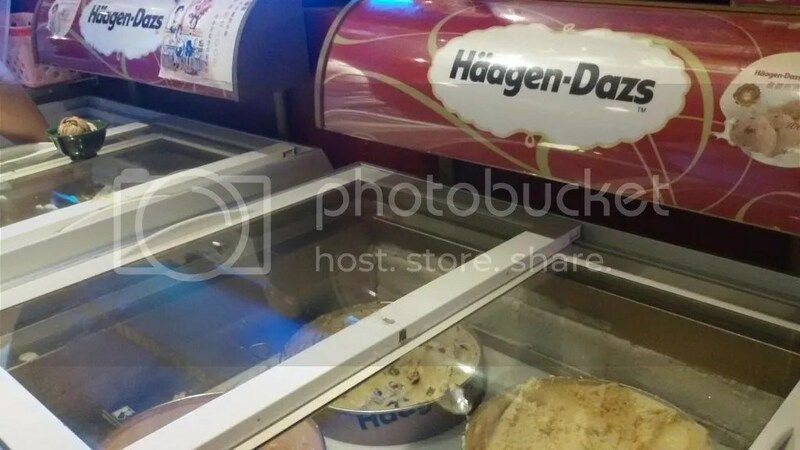 A lot of people go crazy for the unlimited Haagen-Dazs ice cream, unfortunately, I barely had room for some. 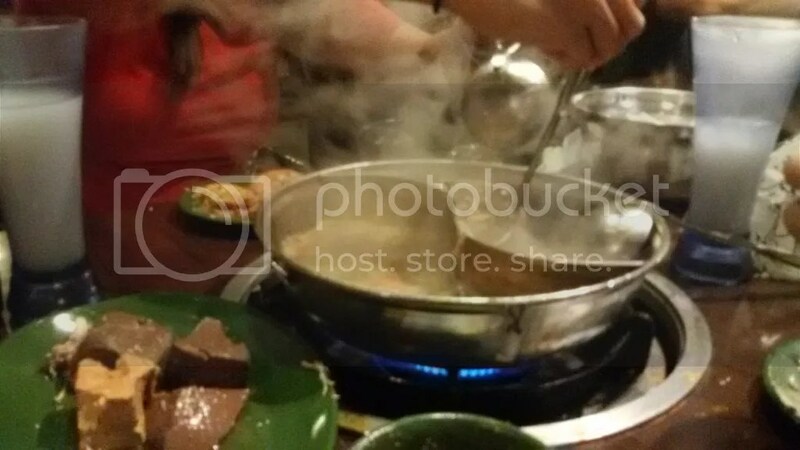 If you are a fan of ice-cream, I suggest that you pace yourself from the hot pot. Since I am a fan of “QQ”ish food, I opted to go to the dessert bar for some mochi and cheese cake instead. After our enjoyable dinner, it was time to say goodbye to Ate LA and M’s parents while we explored what Ximending had to offer. 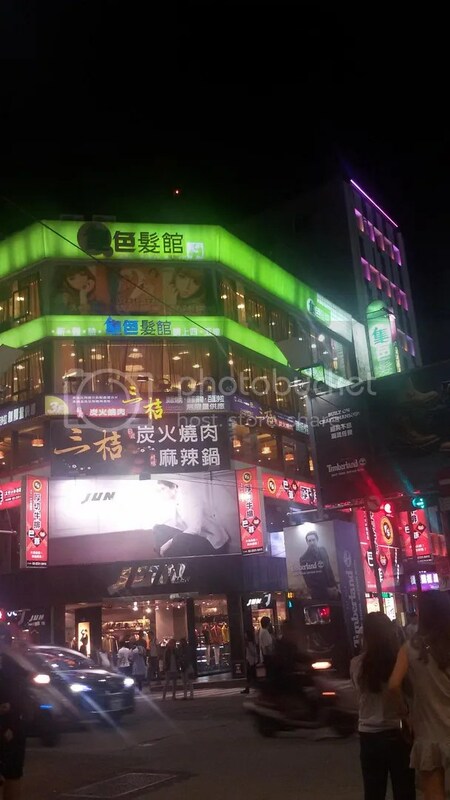 Ximending is known to be the source of Taiwan’s fashion, subculture, and Japanese culture. 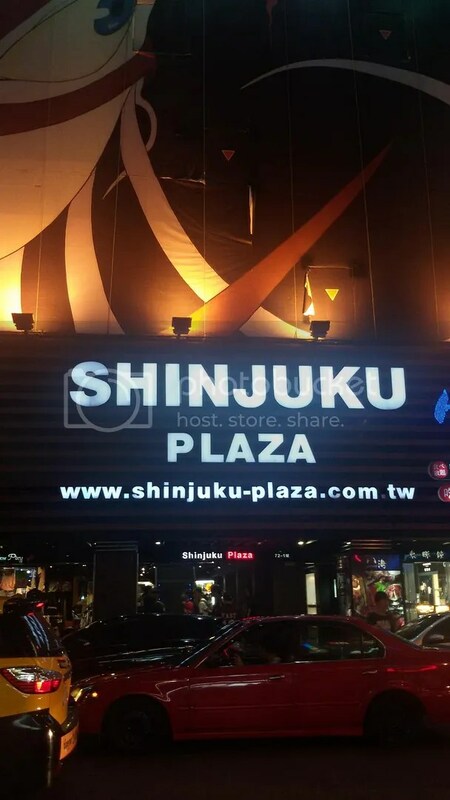 (Wikipedia) The best and efficient place to get some of those would be at Shinjuku Plaza, a five-story building that sells Japanese clothing and relatively cheap shoes. Since I wasn’t really into shopping for this trip, this place was a pass. We passed by Risotto, a restaurant that serves Italian food. What makes this restaurant notable besides its food is its mascot. 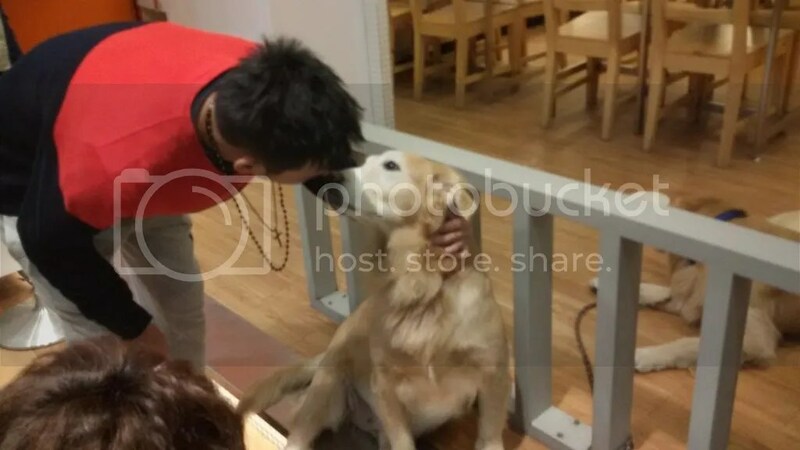 By the door, you’ll find Ah Mao, a Golden Retriever whom guests are free to play with. 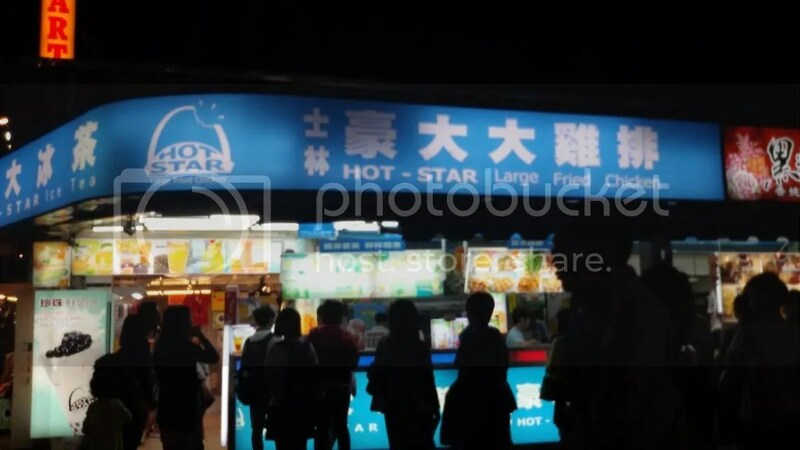 Not to be missed would be Hot-Star Large Fried Chicken, famous for its chicken cutlet that would be as large as a person’s face. It remains to be popular in the area as there was still a long queue late at night. 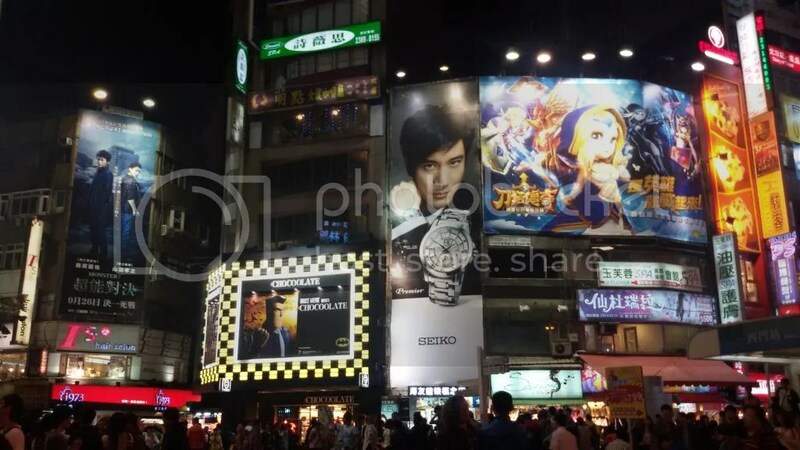 We weren’t able to visit the famous themed restaurants in the area but we were able to spot some great finds for pasalubong. M found some cute bags and purses while I found some Ten Ren Green Tea to bring home. 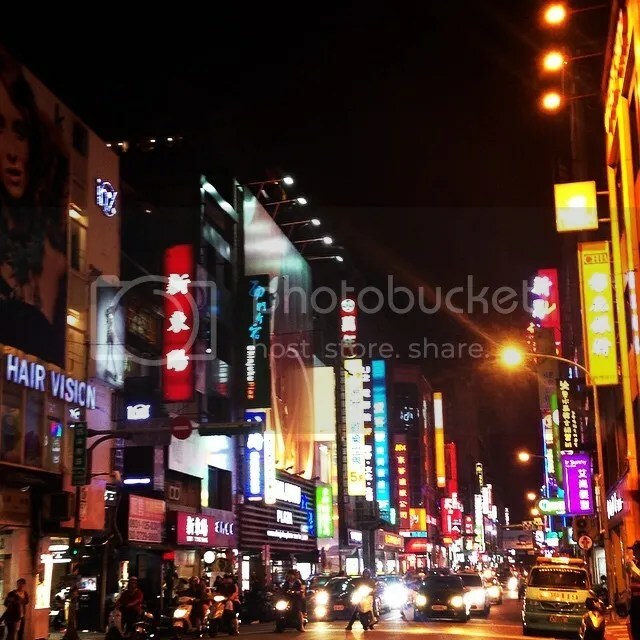 With Ximending’s busy streets, time passed unnoticeably. Next thing we knew, it was almost midnight and it was time to call it a night! 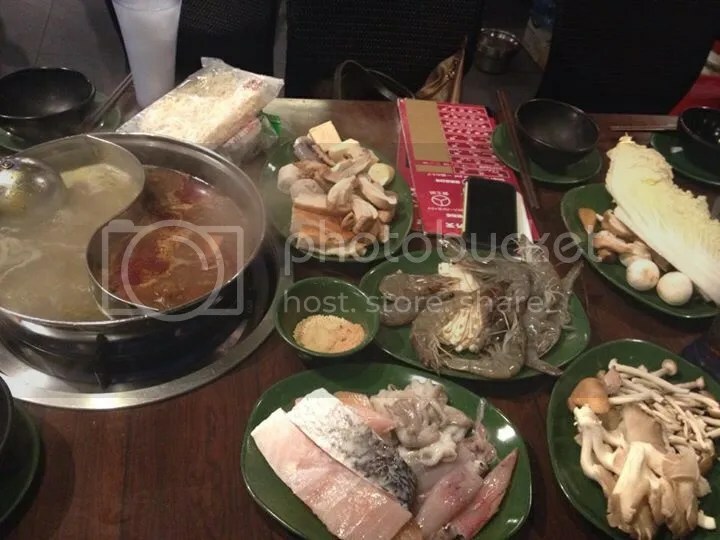 For the sake of those who are curious about the Tian Wai Tian hot pot experience, it may be better to refer to Tin Co’s entry. Yes it is, the same concept. 🙂 It’s a common set-up among East Asian Countries I believe!